I recently acquired a Roland Add+Bike. Unfortunately, it arrived at the same time as the snow, so it’s been sitting around for 2-3 weeks. My older boy (just reaching 4) had gotten far to big and heavy for a child seat, also, it wasn’t an interesting experience for him. I wanted something bike like that would also allow me to carry my youngest son (almost 2). Thus a trailer was out of the reckoning, especially as our one experience with a 2 child trailer was fighting and crying (not the wife and I). Most tag-alongs didn’t allow a child seat as well, due to the mounting, the CTC also recommends strongly against ones that attach to the seat post (not sure why). My choices were down to the Roland and the Follow Me tandem. I plumped for the Roland in the end because it gave me a rack, which would be useful for taking my pannier bag to work and that the weight (and bouncyness) of stuff left on the bike when not carrying a child was that much less. This would be important in some sort of future scenario where I had to drop children off at school. 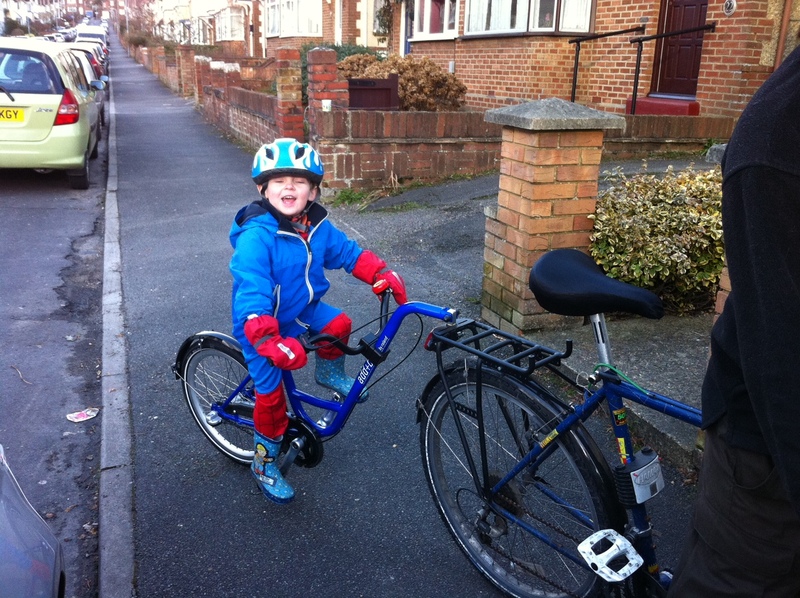 The Follow Me would have let me “release” the boy on quiet roads, but I reckon by the time I’d let him cycle a country road, I’d let him cycle residential streets and drive / walk him over the busy bits. Initial impressions are very good. Everything seems put together nicely and you get “proper” components: Shimano hub gear, Schwalbe tyres etc. The rack took a little while to fit and it on the heavy side (1.8kg!!! ), so not one for the CF road bike, but probably a good thing when pulling your progeny. 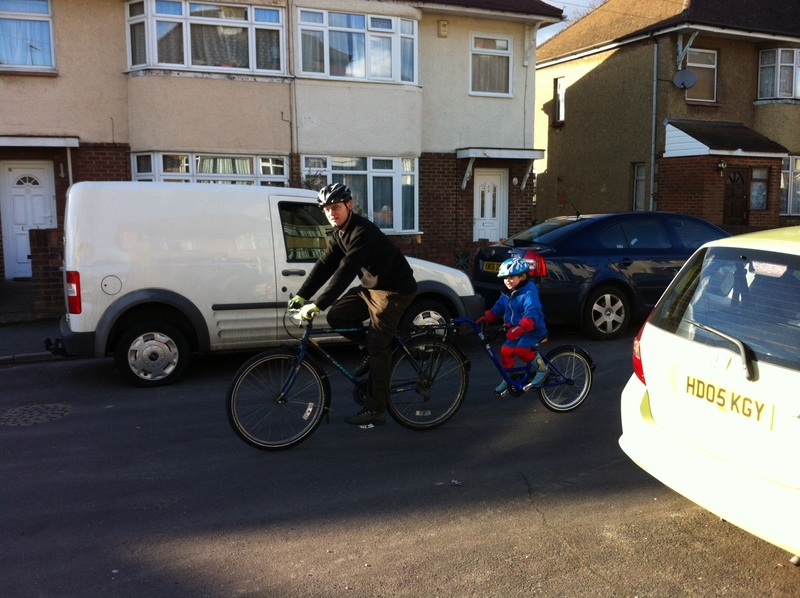 The boy seemed to really enjoy it as well and demanded “an adventure” (1 mile round the block, but don’t tell him). The day after these photos, I put the young man’s brother on the back in a seat and went for another couple of miles. I look forward to learning from your experiences and stealing your ideas for when my little one wants to ride rather than be towed.